Senator McCain, by contrast, offered a quick and decisive answer to the same question: “Life begins at conception.” His record, however, does not place him squarely in the pro-life camp. McCain’s demeanor throughout the event was, well, presidential. Viewed as a debate (which it technically wasn’t) McCain was the clear winner. Still, I walked away feeling more like I had simply witnessed two men trying hard to say what they calculated an American mainstream evangelical audience wanted to hear. One did a better job than the other, but the choice between yet-another-Republican or yet-another-Democrat in the White House is not one that elicits great confidence for the future of our nation. As I listened to the candidates’ responses, Barak Obama sounded like an old school liberal, tauting social programs and urging “personal sacrifices” on the basis that these things “need to be done” and “somebody has to pay for them.” McCain was surprisingly engaging, yet projected nothing substantially different from the same failed policies that have over-extended our national economy and extended us militarily into international conflicts where we don’t belong. 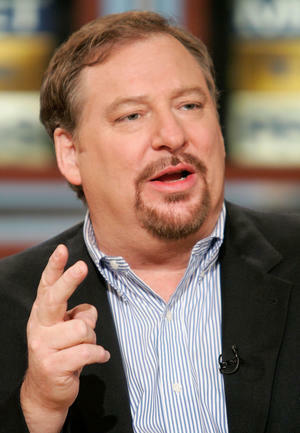 Like Rick Warren’s best selling book, the Saddleback Civil Forum was long on emotional appeal and short on substance. Sadly, we are a nation that is content with shallowness. Deep examination of the core principles of our candidates is an arduous and demanding task. It’s much easier to hear them tell a few interesting stories, regurgitate a handful of campaign trail sound bites, and then convince ourselves that we know where they stand. For those who wish to dig a little deeper into the choice that is being set before us this November, I highly recommend that you click this link and read this outstanding article by Alan Keyes that puts the issue in perspective much better than I can.